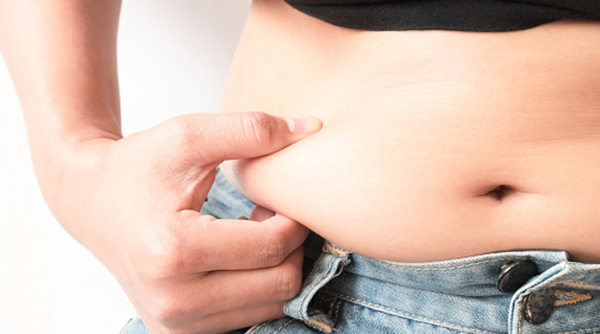 We asked four naturopaths at IMI for their views on the latest research into belly fat and how to shift it and reverse the pattern of central weight gain. IMI founder and naturopath Graeme Bradshaw says we need to consider gut health if we want to lose weight. “The bacteria in our gut also known as our “gut flora” determines how fast our body piles on fat”, says Graeme. “While “good” bacteria are crucial for our overall health less beneficial species. produce toxins and inflammation, which leads to weight gain”. There are two families of bacteria, the Firmicutes and the Bacteroidetes – and bothplay a particularly important role in regulating weight. Together, they account for around 90% of the bacteria in our gut. Many well-known probiotic species, like Lactobacillus and Bifidobacteria belong to the Bacteroidetes family. People who struggle with excess weight usually have more of the “unhealthy” Firmicutes bacteria and less of the “beneficial” Bacteroidetes bacteria in their gut than a person with a healthy weight, according to recent research. Our diet appears to have the biggest influence over what kind of bacteria we have. Not only do Firmicutes bacteria grow in response to a bad diet, they also promote weight gain by helping our bodies harvest more energy and therefore more calories from the food. They digest polysaccharides that would otherwise pass through our system undigested. Even worse, many species are pro-inflammatory and damage our gut, creating a leaky lining that allows more toxins into our bloodstream. This inflammation affects our cells sensitivity to insulin, which in turn damages our bodies’ ability to burn fat efficiently. The association between central obesity and Firmicutes bacteria is so strong researchers have found that they can make people fat by increasing the ratio of this “bad” bacteria in their guts. High cholesterol levels, fatty liver, Type 2 diabetes and cardiovascular diseases are also associated with having a less than optimal ratio of Firmicutes bacteria in the gut. So what can you do to fix your gut flora and create the right conditions for losing weight? Graeme also recommends a herbal supplement called Berberine to correct the balance between the good and bad bacteria in your gut. It also helps sensitise the cells in the gut to insulin and promotes fat-burning. Stress is another contributing factor to belly fat. Prolonged stress, which isn’t managed properly can have a detrimental effect on our weight – not only because when we are under stress healthy eating habits can be difficult to maintain but also stress can disrupt our cortisol level, resulting in what IMI naturopath Dr Benita Perch calls ‘the cortisol pooch’. Cortisol is the main hormone our body produces in response to stress. When it remains raised for a long time due to prolonged stress it creates an inflammatory cascade in our bloodstream that leads to muscle breakdown and an increase in belly fat, and often insulin resistance. When we are stressed we are more likely to reach for the least healthy types of foods (e.g. chocolate and cake) because we are tired and stressed and not care about the consequences. Benita however, says these are the worst types of food to eat because the high-sugar, high-fat combination tends to lead to gut toxicity, which in turn leads to more weight gain. Added to this, the belly fat is itself metabolically active, releasing hormones called adipokines. These signal the brain to release more cortisol, resulting in more inflammation, more insulin resistance and more belly fat. Taking a holistic approach to trimming down belly fat starts with taking basic steps to reduce stress, such as getting a good night’s sleep and learning techniques like meditation and mindfulness. “It would be nice to try and remove stress from life but that’s not practical especially living in a city like Hong Kong. So, it’s important to help people change their perception of stress and learn to cope with it better,” offers Benita. Gentle, restorative exercise like yoga or walking also helps people de-stress and shift their belly fat. Benita cautions her patients to avoid overly strenuous and excessive exercise, which can nudge cortisol levels even higher before the exercise. Short intense workouts like High Intensity Interval Training (HIIT) is more effective for weight loss than long, intense workouts like long distance running. Benita also recommends supplements that contain adaptogens and herbs that help you adapt to and cope with stress like Ashwaganda, Siberian Ginseng and licorice and Rhodiola. Other herbs that help nourish the nervous system – and therefore ease stress – include lavender, oats and lemon balm. People who want to lose belly fat also need to look at their diet. Benita tells her clients to focus on eating a solid, healthy diet rather than counting calories. Benita works hand in hand with her clients to draft a healthy diet plan that works for them and their lifestyle. She warns against following overly restrictive diets like vegan or paleo diets, as it is easy to miss out on important nutrients while following these plans. Benita also advises her clients to test for food intolerances, as these can create further inflammation and stress in their systems. Many of Benita’s clients start losing weight after identifying food intolerances and following diets that eliminate food triggers. When Alex sees a patient, she starts by asking her clients about their diets to see where they can improve. She aims to move her clients away from a diet high in refined carbohydrates and sugars, towards a diet grounded in plant food, high quality proteins, whole gains and good fats. This helps them stabilise their blood sugar levels, reduce inflammation and ultimately lose weight. Managing cravings for sugary and fatty foods is often a challenge for people starting on a healthy eating plan. These cravings are often triggered by an imbalance in dopamine, a neurotransmitter involved amongst other things, in our deepest emotions and experience of pleasure and pain. Having a glass of wine and a plate of chips with friends gives people a feel-good dopamine hit that’s addictive and hard to break. Excess sugar from a poor diet can lead to a candida overgrowth, which creates even more sugar cravings. There are however, herbal supplements that are excellent for helping people manage their sugar cravings when they first start out on a healthy diet plan. Alex also encourages her clients to focus on what kind of food they are eating rather than how many calories they are ingesting. Not all calories are equal. For example, your body will process the calories in a packet of chips very differently to the calories in a piece of chicken breast. She also cautions her clients to avoid vegetable oils altogether as they are pro-inflammatory, additives such as MSG and artificial sweeteners. All can wreak havoc with blood sugar levels. Finally, alcoholic drinks are usually calorie-dense and better avoided. Patience is necessary because it often takes time to see results, even for people working to lose their belly fat with the help of a practitioner. “It takes me a little while to educate some patients as to why they are not seeing a quick result. 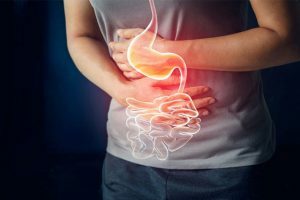 It is important to understand that there has been a lot of underlying dysfunction going on for a quite some time – long before they started to pile on that abdominal weight,” says Alex. Changing habits is a complicated thing and very hard to do on your own, which is why having a naturopath by your side can give you the guidance to shed those extra pounds. IMI naturopath, Philip Watkins is excited by recent scientific studies into the links between gut health, diet and obesity, and how he can apply this new knowledge to help his patients. A team of scientists recently discovered that cutting down on red meat consumption may help block a specific microbial pathway in the intestines that can lead to obesity and insulin resistance. These scientists found a link between obesity and TriMethylAmine Oxide (TMAO), a chemical produced when gut bacteria digests choline, lecithin and carnitine. All nutrients found abundantly in animal products like red meat, processed meats, egg yolks and liver. While the research is still in its infancy, Philip says it has intriguing implications for the role that red meat plays in the development of obesity. One study, for example, found an increase in TMAO was correlated with an increase in the incidence of Type 2 diabetes and cardiovascular disease. Others have found high levels of TMAO are associated with hardening of the arteries, diabetes and colon cancer. If you want to reduce your belly fat, it pays to reduce your red meat consumption. Other people have problems absorbing fructose and will experience bloating, gastro-intestinal and bowel issues every time they eat sugar or fruit. As a result, Philip emphasises the importance of carefully assessing your diet, taking individually-tailored tests to find out what is going on. When considering how to lose belly fat and improve your overall long-term health it would be worthwhile to consult with a naturopath who can identify any underlying issues and devise a diet and lifestyle plan that is individualised to your condition. IMI has a number of naturopaths who can work with you to investigate what issues are at the root of your weight gain and what steps you can take to effectively tackle your belly fat. They include Graeme Bradshaw, Tej BG, Dr. Benita Perch (ND), Dr. Ardyce Yik (ND), Alex Shaw, Dr. Joelle Bradford and Philip Watkins. To book an appointment with one of our naturopaths, call 2523 7121 or submit the enquiry e-form below. Montague, CT; O’Rahilly, S (2000). “The perils of poliness: Causes and consequences of visceral adiposity”. Diabetes 49 (6): 883–8. Kern, PA; Ranganathan, S; Li, C; Wood, L; Ranganathan, G (2001). “Adipose tissue tumor necrosis factor and interleukin-6 expression in human obesity and insulin resistance”. American journal of physiology. Endocrinology and metabolism 280 (5): E745–51. 3. Marette, A (2003). “Molecular mechanisms of inflammation in obesity-linked insulin resistance”. International journal of obesity and related metabolic disorders : journal of the International Association for the Study of Obesity. 27 Suppl 3: S46–8. Mokdad, AH; Ford, ES; Bowman, BA; Dietz, WH; Vinicor, F; Bales, VS; Marks, JS (2003). “Prevalence of obesity, diabetes, and obesity-related health risk factors, 2001”. JAMA: the Journal of the American Medical Association 289 (1): 76–9.